A federal judge issued a partial ruling Monday saying most corruption charges against Sen. Robert Menendez (D-NJ) should stand. Judge William H. Walls called some motions by Menendez’s legal team to dismiss the case "meritless." But Walls is still considering several other defense motions where the senator and Florida eye doctor Salomon Melgen are seeking to have the entire corruption case against them thrown out. 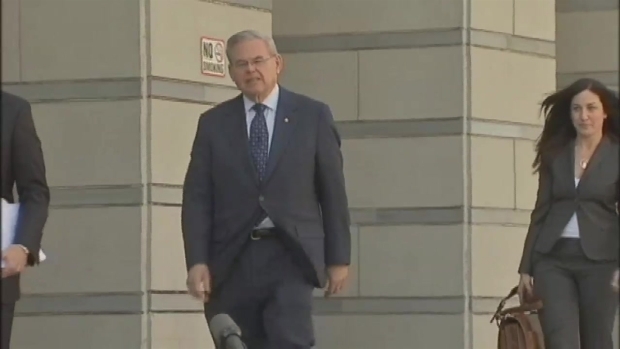 Menendez is accused of accepting free private plane trips and vacations from Melgen. In exchange, prosecutors said Menendez tried to help Melgen in connection with overbilling and Medicaid-related fraud allegations with government officials. Both sides of the corruption case against New Jersey Senator Robert Menendez and co-defendant Salomon Melgen went to court to arge a motion on having the case thrown out. Jen Maxfield has more. The senator also allegedly helped Melgen in his efforts to try to secure a lucrative port security contract in the Dominican Republic. Walls let 12 bribe-related counts stand, saying there was enough evidence of a quid pro quo to proceed to trial. But he dismissed four counts because they were connected to a Menendez legal defense fund and touched upon First Amendment issues. The judge has yet to rule on six other separate motions by the defense to get the case thrown out, and only partially ruled on a seventh. The defense originally filed 15 motions to dismiss the case. It's not clear when the rulings will come. In a statement, Menendez lawyer Abbe D. Lowell said "the Senator has been clear from the very beginning that he has always acted in accordance with the law and that, once all of the facts are presented in court, he is confident that he will be exonerated. "We appreciate that the Court dismissed several counts in the indictment that we challenged, and there are still additional challenges pending in which decisions could impact the viability of other charges in the case," Lowell said. 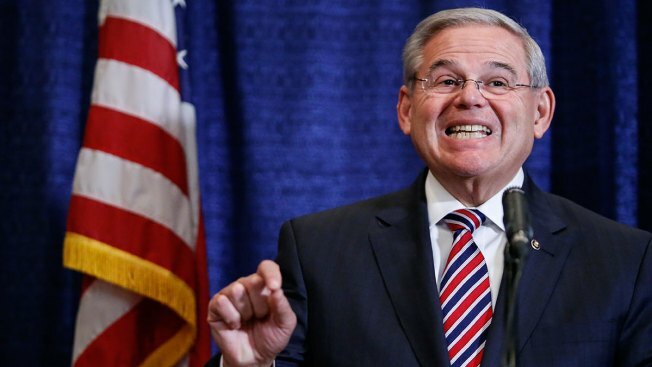 Menendez had been seeking to have the case thrown out because he has said he has been the victim of a unfair anonymous smear campaign relating to underage prostitution.The senator said it was that “smear” that tainted the investigation from the start and the case should be dismissed. But the judge ruled a search of Melgen’s Florida offices were constitutional and the FBI was correct to seize a black book that later turned out to have names and prices next to women’s names – even though prostitution-related charges were never filed.